Sponsoring NASCAR at any level (i.e. league, team(s), driver(s), track(s), or media) can look very similar to other sports at first glance. However, when you consider the deep layers of the sport and the different geographic and demographic combinations, the possibilities become endless. Let’s take a closer look at how this compares to other sports in America. Within NASCAR there are multiple series at the top level of the sport: Gander Outdoors Truck Series, Xfinity Series and Monster Energy NASCAR Cup Series, and several developmental series that feed into each of them. All three of these series hold events across the nation, while the developmental series are typically focused in certain regions. The national series come with a higher investment level and also yield a broader return. If a company has budgetary constraints or just wants to test the waters, a regional series will allow for an easier entry into sponsorship. With other sports such as football – either at the professional, or collegiate level - you have one major team in a given market. With that team comes the stadium, media, etc. but it would be considered a local deal. A sponsor of an NFL team has the rights to that team within a certain geographical footprint. Meaning if you sponsor the Dallas Cowboys, you are restricted to using the logos/marks in the Dallas/Ft. Worth area. The reason behind this is so that teams do not compete with other teams in their markets. It should be noted that when sponsoring the league you gain the national access outside of the local market. NASCAR differs from the “stick and ball” sports in that by sponsoring a team you can activate the sponsorship on a national level or in any local market you like, as well as television on a national level. A previous, high-visibility example of this would be Lowes Home Improvement. When they sponsored Hendrick Motorsports with driver Jimmie Johnson, they enhanced their sponsorship by utilizing Jimmie in their national television commercials in a team branded fire suit and race car. This would not be an option with a NFL, MLB, NBA or other national leagues. In regards to television, NASCAR, like other U. S. sports, does have its own television deal. Meaning that television networks pay for the rights to broadcast the live events of that particular sport. NASCAR’s television deal is with two networks, Fox and NBC. It is not uncommon to have multiple television partners but what is a bit unique for NASCAR is that the season is split, basically, in half. Fox airs the first portion of the season and then NBC steps in and airs the remaining races. Both, Fox and NBC, air their races on network television and on cable television. Combined for the season, NASCAR draws in 58 million viewers across all series (Source: The Nielsen Company, 2017), ranking second among all major US sports, behind only the NFL. Television deals are an important revenue component to all U. S. sports and the size and scope of each deal is different. These deals are set for a period of time and are negotiated on the health of the sport which would be influenced by the television ratings and/or viewers of that particular sport. Another area to compare and contrast NASCAR with the other larger national sports leagues would be in the season length. NASCAR’s season is one of the longest in sports kicking off with the DAYTONA 500 in mid-February and crowning the Monster Energy NASCAR Cup Series champion in mid-November. Compare that to the NFL or MLB, who’s seasons are six to seven months, including playoffs. The NBA and NHL regular seasons are roughly the same length to NFL and MLB but their playoffs tend to last a bit longer. The longer length of NASCAR season allows sponsors to have close to a full calendar year to activate their sponsorship. And when combined with the above-mentioned ability to activate in any market, provides companies with an extremely strong marketing platform. This type of year-long activation allows for NASCAR to rank #1 in Fan Loyalty to Sponsors (Turnkey Sports & Entertainment). NASCAR teams, unlike the “stick and ball” teams, do not have a “home field” or stadium that they play in. All of the NASCAR race teams are based in North Carolina, but we only race a few events in North Carolina. Week in and week out, we race in different markets thus building that national footprint mentioned above. The team’s fans are truly national and come out to the race track that is closest to them to cheer on their favorite team and driver. The nature of the NASCAR race schedule provides truly national coverage with an opportunity to focus locally, or regionally, depending on the needs of the sponsor. NASCAR fans tend to cheer for the athletes in the sport versus the team. That is also another point of difference. In the NFL a fan will most often cheer for his home town team or a team that they have an affinity to. If the quarterback of that team is traded, retires, etc. their fans will most likely still support that team. 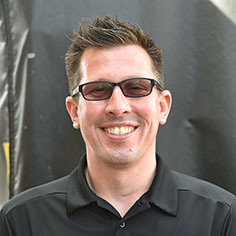 However, in NASCAR, the driver tends to drive the fan affinity and when a driver changes teams at the end of the season, fans tend to follow the driver. In past blog posts we have discussed Personal Service Agreements (PSAs). PSAs allow sponsors to the use the likeness of an athlete on a national level but with no team logos or affiliation. An example of this would be Campbell’s Chunky Soup™ who is a NFL league sponsor. Their activation strategy is to use recognizable football players to pitch the brand. In the past, they used Donovan McNabb in that role, while currently, Dak Prescott is featured in the Chunky Soup commercials. The key here is that he is in a generic football uniform, not that of the Dallas Cowboys (the team he plays for). The teams own those rights, not the players. These types of deals are very similar from sport to sport. Is NASCAR Right for Your Brand? NASCAR, as a sport, continues to find ways to evolve and grow while maintaining the core product. We, as stakeholders in this sport, are excited about the future and the direction we are heading. With the announcement of the eNASCAR Heat Pro League starting this year, comes another avenue for companies to market to our fan base and beyond. When it comes to sports sponsorship, there are many options available to marketers today. In our view, the key to success is making sure you select the right sponsor partner for your business. It might not work for every company, but where there is a fit, a NASCAR team sponsorship is a solid investment, offering a true national marketing platform, with specific advantages over spends in other sports. Have questions, or want more information about how NASCAR sponsorship measures up against sponsorship in other sports? Let's connect and talk about the possibilities. Management executive with 20+ years of experience in advertising, management, marketing and sales on both the agency, the brand and the professional sports team side. Excellent strategic and creative skill sets with a strong business development background in multiple fields including sports and entertainment.